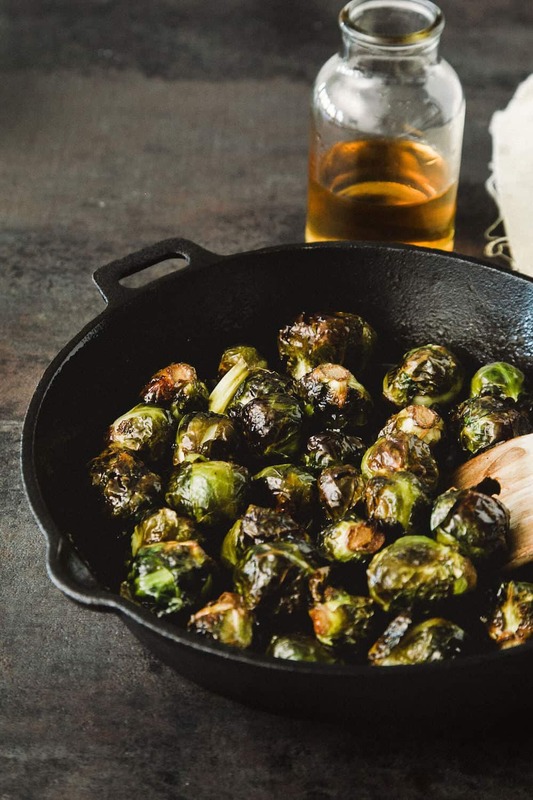 This roasted, caramelized brussel sprouts dish features brown sugar and apple cider. 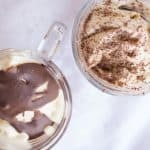 It also does the impossible: bridges the gap between salad and dessert. Ah, poor, maligned brussel sprouts. The boiled foe of every toddler (and manchild) on earth. 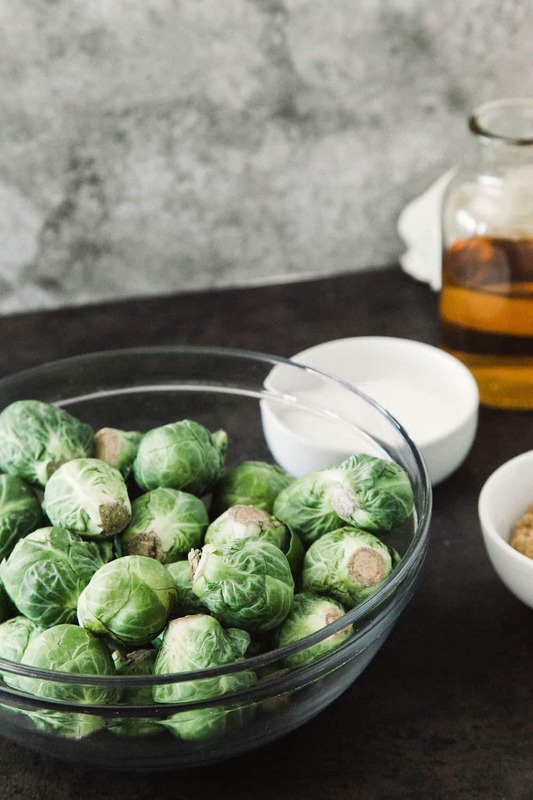 If only our mothers and grandmothers had known that instead of boiling sprouts until they were practically gray, they should have been eating roasted brussel sprouts! 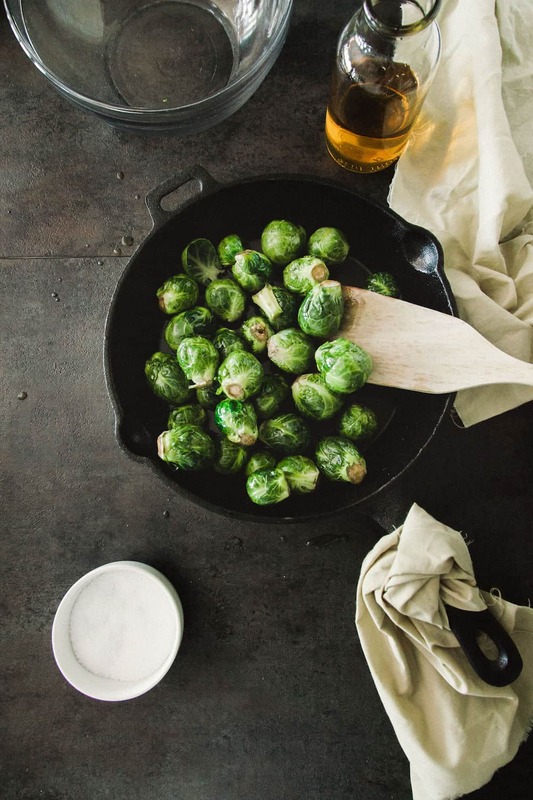 Roasting sprouts brings out their sweetness, makes the outer leaves crispy, and just results in one very delicious green side! 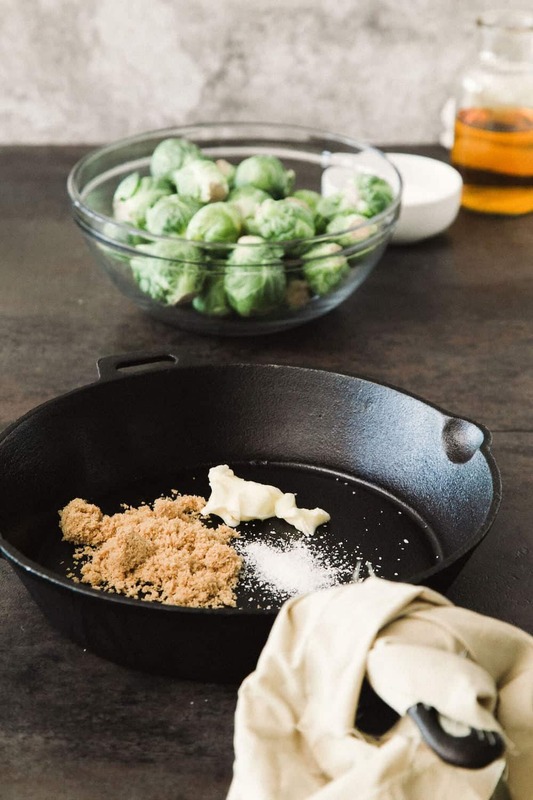 This particular roasted brussel sprouts dish goes a step further: a quick brown sugar, apple cider, and butter glaze in a cast iron skillet into which you toss your fresh brussel sprouts. Then 25 minutes roasted at high heat, and you have something that does the impossible: bridges the gap between salad and dessert. Seriously, these are so good. 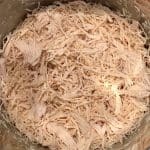 When we tested this recipe, I ate an entire bowl full . . . by myself! 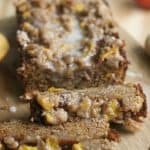 These will be enormous winners at your holiday dinners, I promise. 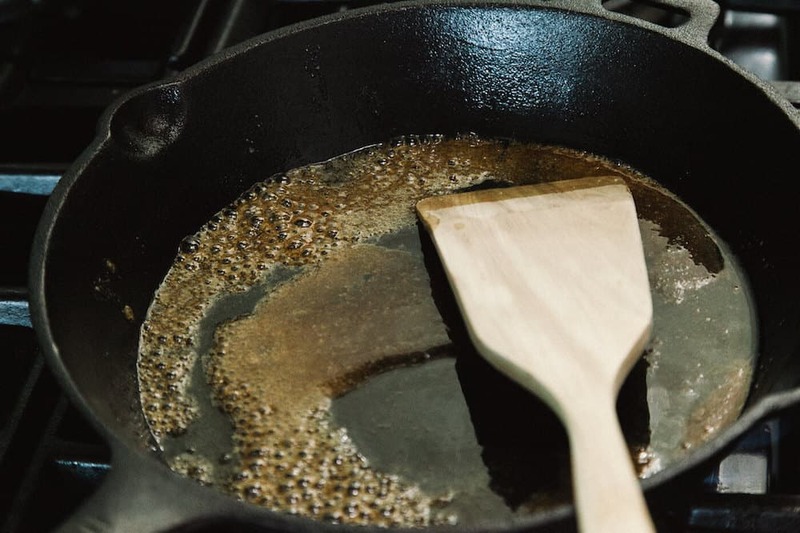 Place butter, brown sugar, and salt in a cast iron skillet. 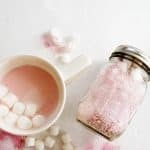 Cook over high heat until bubbling and thickening, add apple cider and then keep stirring and cooking until the liquid is thick enough to coat the back of a spoon. Toss brussels sprouts in the glaze until well-coated. 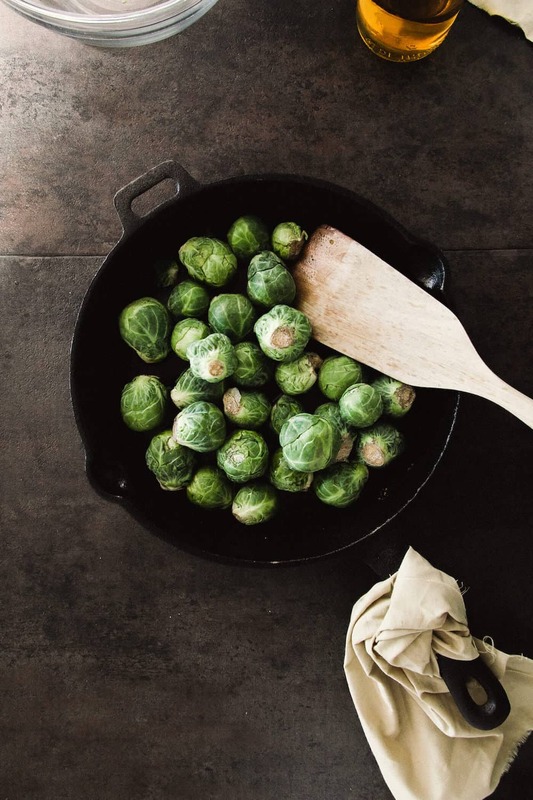 Roast for 25 minutes, tossing regularly, until sprouts are crispy and caramelized, whilst cooked through. 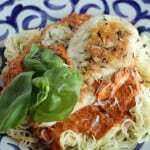 Serve with chicken or turkey . . . or eat on their own. They really are that good! Enjoy! 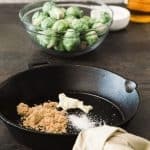 This roasted brussels sprouts dish features brown sugar and apple cider; it also does the impossible: bridges the gap between salad and dessert. 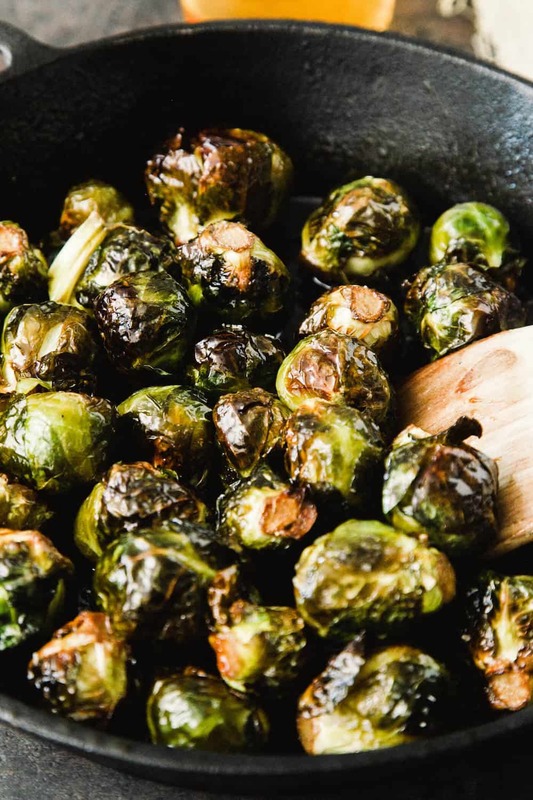 Let us know what you think of these roasted brussel sprouts in the comments! 25 mins at 425? Way too long. 16 to 18 mins at 400 is plenty.